I'm not sure what exactly you are referring to? Do you mean to send the received submission to another person? 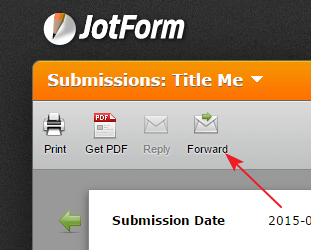 If so, you may use the Forward option from the Submissions view.